Jumma (Jama) Masjid is a Mosque located near Mandvi Gate, Vadodara (Baroda). 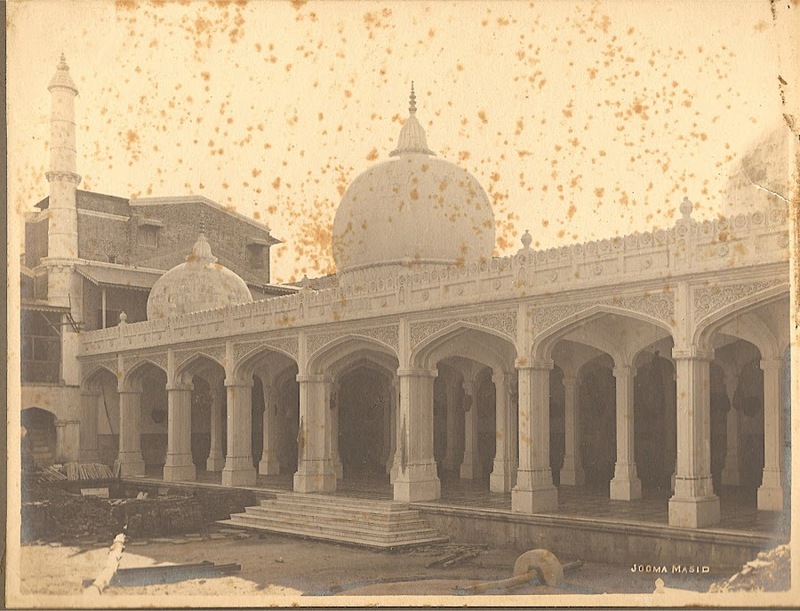 The Building of the Jumma Masjid and the Institutions attached there-to were carried out under the Supervision of the President and the Building Committee of the Anjuman-i-Islam of Baroda with the Kind Help of Alfred Coyle (ESQR) State Architect for whose design of the same the Mahummadan’s of Baroda are under a deep Oblication in Year 1912 A.D.
With the Generous and Sympatheic aid of Maharaja Sayajirao Gaekwad III, this Mosque (Jumma Masjid) and the building attached to it have been built by his Loyal and Devoted Mahummadan Subjects in Year 1912 A.D. The Quran: It is said that the Mosque has biggest Quran in Asia which is written in Special Kajal Ink and Golden water which is 230+ Years Old. The Quran was damaged in rain in Year 2005, but was then restored using handmade paper, natural inks and glues which costed ~Rs. 18 Lac. As per H Dymakumar, trustee of the mosque, the Quran is a rare piece with 1.90 meter length and 1.04 m breadth. It is written in Arabic and has a Persian translation. It was handwritten by Mohammed Ghosh in 1783 A.D..